Invested comes bundled with Slider Revolution. It also has a mega menu system. Users can change header and footer options easily. They can also adjust the fonts and translate the theme. 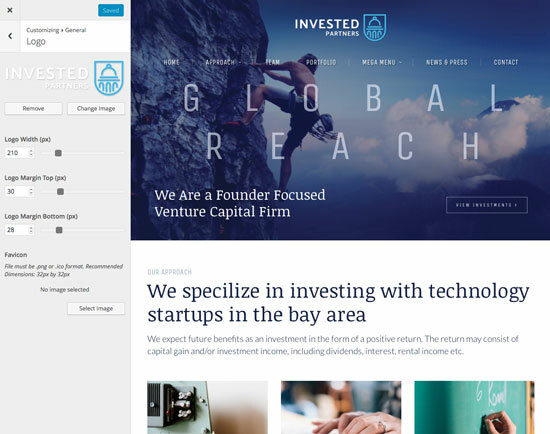 Invested comes with everything you need to promote your team, news, and portfolio. 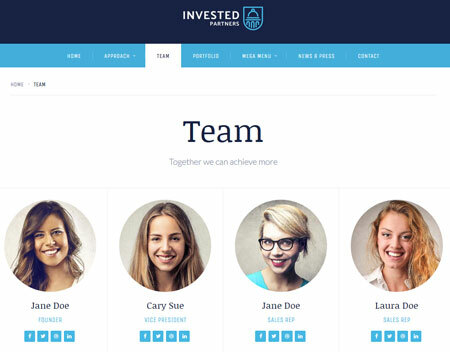 This theme doesn’t have unnecessary bells and whistles, but it lets you promote your team and services in a professional manner. This is a commercial template.